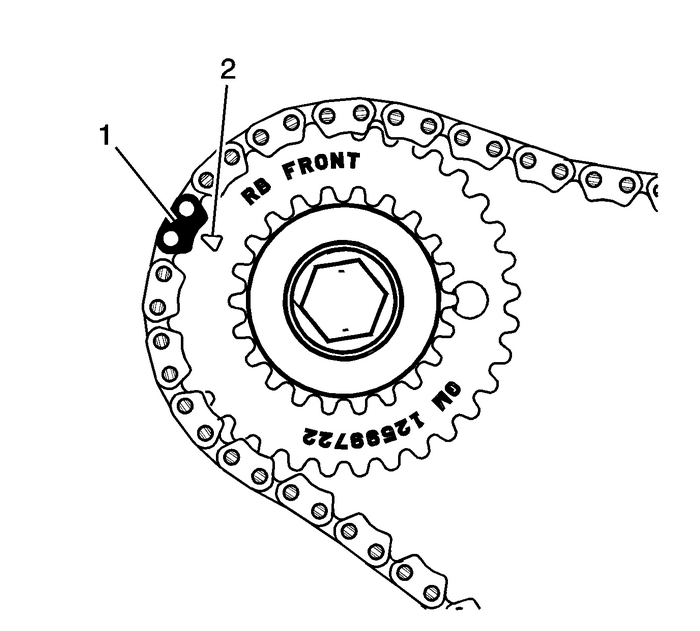 Note:Ensure that the crankshaft is in the stage one timing driveassembly position. Install the primary camshaft drive chain. Wrap the primary camshaft drive chain around the largesprockets of each camshaft intermediate drive chain idler and thecrankshaft sprocket. 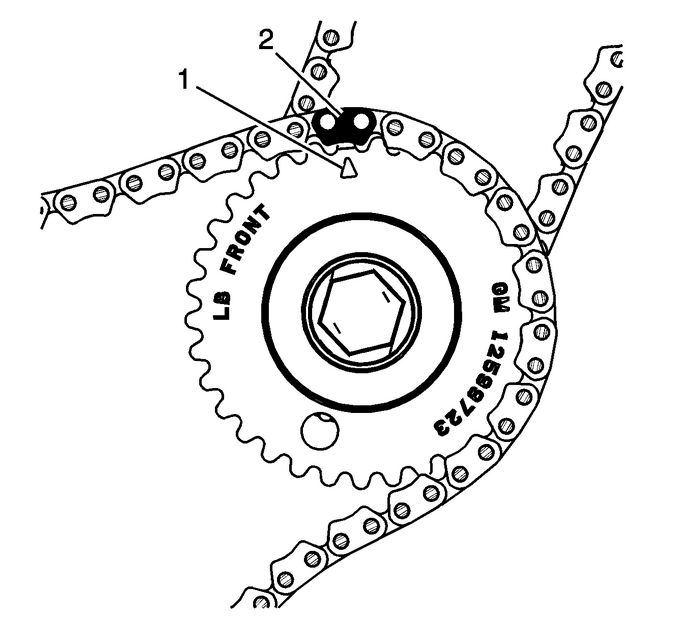 The left camshaft intermediate drive chain idler timingmark-(1) will align with a timing camshaft drive chainlink-(2). 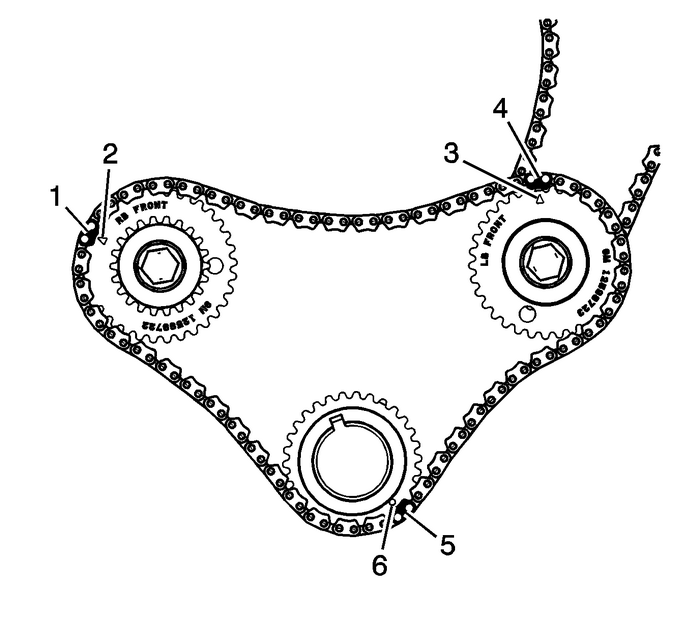 The right camshaft intermediate drive chain idler timingmark-(2) will align with a timing camshaft drive chainlink-(1). 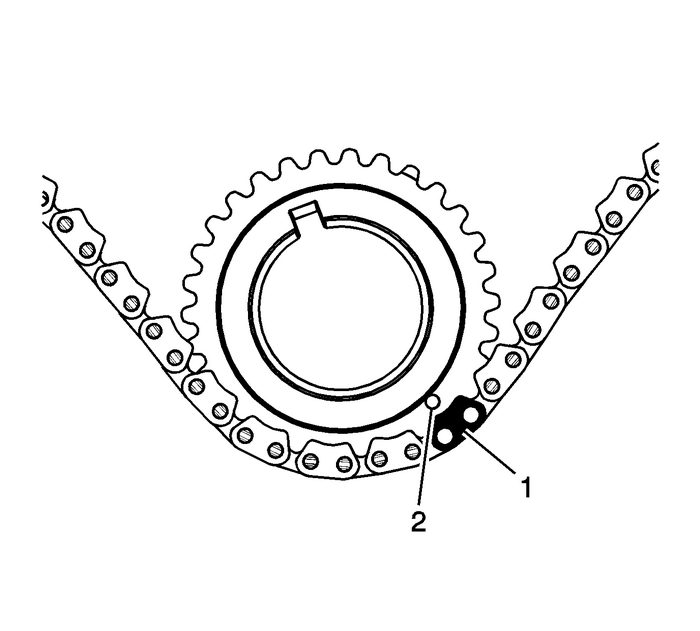 The crankshaft sprocket timing mark-(2) will alignwith a timing camshaft drive chain link-(1). 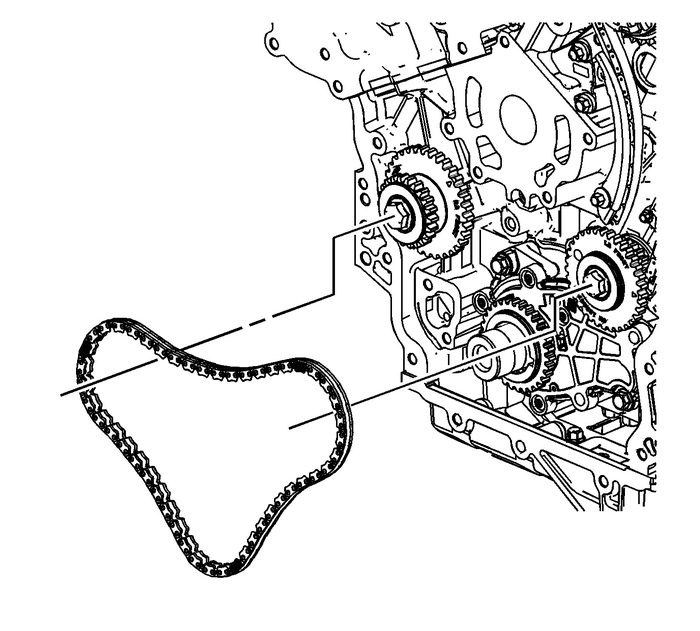 Ensure all the timing marks-(2, 3, 6) are properlyaligned with the timing camshaft drive chain links-(1,4, 5).